This page has answers to the most frequently asked questions (FAQ) about IMatch. 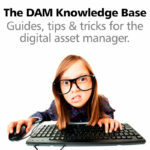 IMatch is an Advanced Digital Asset Management (DAM) software for Windows. Digital Asset Management provides solutions to store, organize, find, retrieve, view, process, print and share digital files. Why do I need IMatch? IMatch will organize your digital images for you. See the IMatch Overview video for details and examples. What do I need to run IMatch? IMatch runs on Windows 7 and newer editions of Windows. See the hardware and software requirements for details. Make sure you have WIC codecs installed when you plan to use RAW files with IMatch. IMatch is licensed on a per-user basis. The licensed user can install and use IMatch on any number of computers, provided that he/she is the only user. Is IMatch available via a subscription license model? No. IMatch licenses are perpetual, which means they don’t expire. How do I install IMatch? If you want to try out IMatch, download the free 30-day Trial Edition. It is fully functional. Tip: See the installation tutorial in the IMatch Learning Center for more info. If you have a license for IMatch, download the most recent licensed version from the photools.com Customer Portal. Installing it will update previously installed trial and licensed editions of IMatch to the most recent licensed edition. Where can I find more information about IMatch? IMatch comes with a complete documentation. To open the IMatch help system, press F1 anywhere in IMatch or use the commands available in the Help menu. The IMatch Learning Center offers many free how-to videos and tutorials. The friendly IMatch community is the best place to ask questions and get support for IMatch and IMatch Anywhere. You can also contact us directly via our support page. Which file formats does IMatch support? IMatch supports all major image formats, RAW files via WIC codecs, video files, Office documents, PDF files, MP3 files and many other formats out-of-the-box. Users can configure IMatch easily to handle custom file formats. Does IMatch support RAW files? Yes. IMatch can manage all RAW formats. And when a WIC codec is installed in Windows which supports your RAW format, IMatch can also extract thumbnails and display the files. Windows 10 comes with many WIC codecs for common formats. Most camera vendors provide WIC codecs to their customers. See WIC Codecs for more information. Does IMatch work with DNG files? Yes. IMatch can extract images from DNG files and edit the metadata in the DNG file, including XMP data. Does IMatch move my files into its database? No. IMatch manages your files where they are. You don’t need to change your file organization to use IMatch. As long as Windows can access the files, IMatch can manage them. How many files can I manage in an IMatch database? An IMatch database manages easily 500,000 or more files. The largest database we know of manage about 1 million files. And you can create any number of databases with IMatch. Which metadata formats does IMatch support? IMatch supports XMP, EXIF, legacy IPTC, GPS, ID3, PDF, Office and many other metadata formats. Most formats can be read and written. In addition, IMatch understands several thousand vendor-specific EXIF maker notes. Will IMatch lock me in? Never. IMatch has been designed with an open system approach in mind. All metadata is stored in the image file or sidecar file, and even proprietary IMatch data like categories or Attributes can be exported in multiple formats. This makes you independent from IMatch, and you can use other DAM applications in the future when you like. Does IMatch work with Photoshop, Lightroom, Affinity Photo etc.? Yes. IMatch is standard compliant and supports common metadata formats and workflows. It integrates very well with other applications. You see metadata added/edited in these applications in IMatch, and vice-versa. Changes you make in Adobe Lightroom™ are virtual. They only exist inside the Lightroom database or the Lightroom proprietary XMP metadata. Only Lightroom can apply these changes to your files, they are not accessible for other software. See also lock-in above. You need to persist your changes by exporting an image from Lightroom. A good option are DNG files, because they can contain your RAW data and an ‘as-intended’ preview image. IMatch can use this preview image to display your images as you see them in Lightroom. Can I edit keywords with IMatch? Oh yes! IMatch has a very powerful and comfortable keyword editor. It supports controlled vocabularies and the IMatch Universal Thesaurus. Spell checking, history lists, intelligent suggestion features improve keyword quality and speed up keyword entry a lot. Can I edit metadata with IMatch? IMatch implements several features which enable you to view and edit metadata contained in your files – from titles and descriptions to GPS coordinates and location information. Can I edit GPS data with IMatch? Yes. IMatch has a built-in mapping tool that supports all major map vendors (Google, Microsoft, OpenStreetMap). You can add GPS coordinates to your images or correct existing GPS data. With the reverse-geocoding feature you can transform GPS coordinates into the corresponding country, city and location information – automatically. Can I display my files in IMatch? Sure. IMatch has three major features for viewing image files: The Quick View Panel, the powerful Viewer and the Slide Show. Can I convert files with IMatch? Yes. IMatch has a built-in batch processing feature which enables you convert and export images in many formats. You can also resize images, apply image effects, watermarks and text overlays using metadata, borders and more. Can I rename multiple files at once? Yes. The built-in Renamer offers powerful features to batch-rename files, using date and time, file attributes, metadata like camera model or lens and much more. Can I print images with IMatch? Yes. IMatch’s unique Design & Print module is perfect for designing and printing photo books, brochures, leaflets, contact sheets and more. Can IMatch be used with multiple users? Yes. IMatch databases can be opened by multiple users at the same time in read-only mode. This allows the users to browse the database, search, filter, use categories, view images etc. If the database needs to be updated, one user must open it in writable, exclusive mode. See Sharing Databases in the IMatch help system for full details.